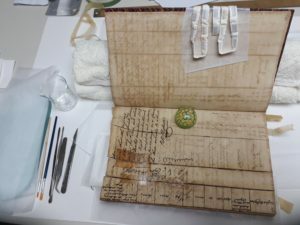 (The National Archives of St. Kitts & Nevis) May 18, 2018: The National Archives has just completed a project of conservation on the Cleghorn Journals. The Cleghorn Journals are a set of six journals produced in 1835 and 1836 by Ralph Cleghorn, a Stipendiary Magistrate, who was born in St. Kitts and educated in England. St. Kitts is unique in the Caribbean in that it has a collection of 23 of these journals produced by 5 different magistrates. The value of these records lies in the fact that for the first time the former enslaved were able to take a case to court if they felt aggrieved by the way they were treated in the work place. The conservation of the Journals is actually a part of a larger project which is on-going. Dr. Tara Inniss, Lecturer in the Department of History at University of the West Indies, Cavehill who was on a visit to St. Kitts in 2015 suggested that, given their rarity, the volumes would be a good basis for fresh explorations into the post-emancipation period. She made the case to UWI for funding to digitize, transcribe and conserve them with a view to produce an edited publication of them. Work on digitization started in 2016 and was soon completed. Transcription was undertaken by Mr. Ernest Wiltshire in Canada who generously donated his fees towards the conservation of the Journals. 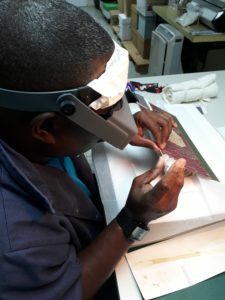 In 2017, a workshop on Digital Preservation brought Ms. Nerys Rudder, a conservator from Barbados to St. Kitts as a facilitator. She did an assessment of the journals and was given the task of conserving them. The funds from the UWI project covered most of the costs. 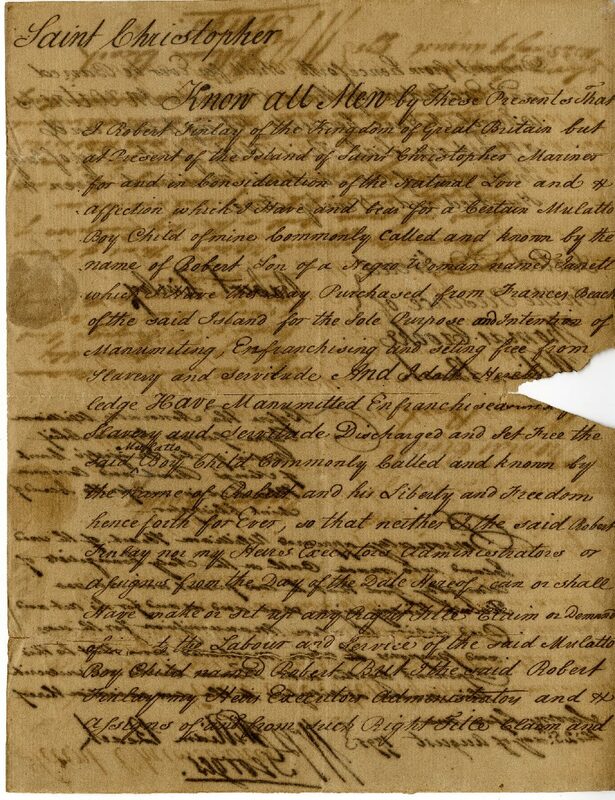 The remainder was raised locally, through the intervention of His Excellency Sir Tapley Seaton, Governor General who secured a grant from the SIDF for the National Archives to complete the work on the Journals and also to repair the Original Register of Slaves 1817. The Journals were sent to Barbados for treatment and are now back in St. Kitts. Work on the publication is ongoing. Work on the Register of Slaves, which was on exhibition during the Christmas period, is scheduled to start later this year. The National Archives wishes to record its appreciation to the Sugar Industry Diversification Foundation (SIDF) for its timely assistance in financing the conservation of our history and heritage for present and future generations.